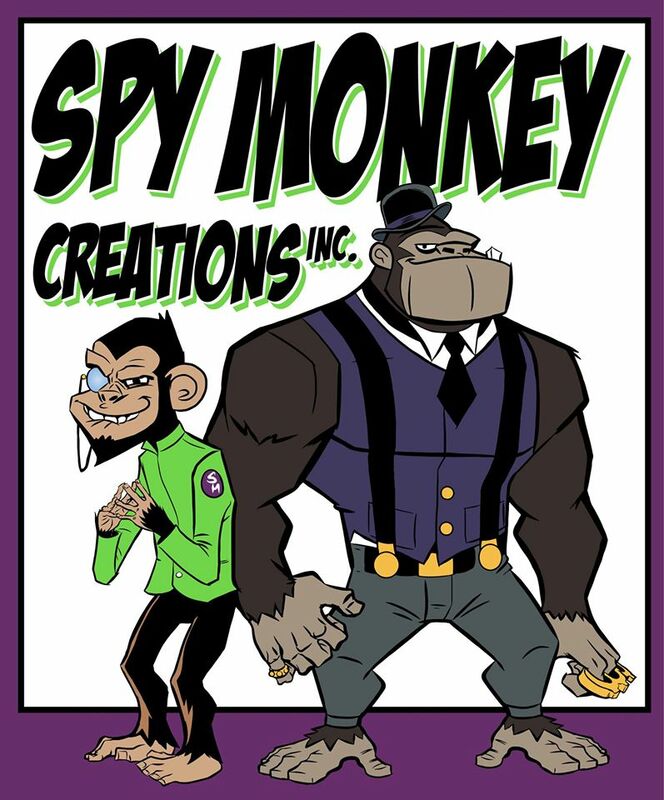 Once again Spy Monkey Creations, Inc. and Weaponeers of Monkaa will be at DesignerCon! DesignerCon 2014 will be held November 8th & 9th at the Pasadena Convention Center. We will be at booth #302 in the GLYOS BLOCK along with other popular designers who utilize the Glyos System, including Father Glyos himself, Matt Doughty of Onell Design. UNCLE OVERLORD: Evil Uncle of The Good Guy! Uncle Overlord follows in the tradition of our previous 80s toy homages with special paint details to depict a treacherous villain from our childhoods. This is a Super Deluxe Weaponeer figure featuring additional paint details, a full set of bonus heads, sword, sickle and a full Close Combat Armory! 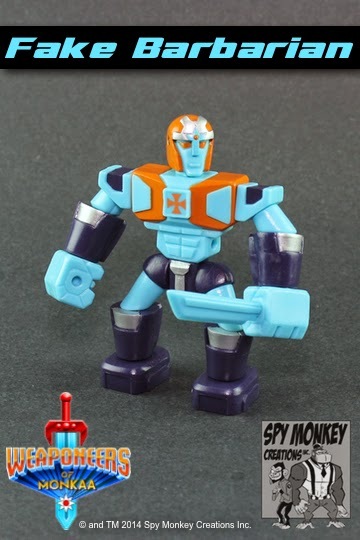 Each figure includes 45 Glyos System Compatible parts molded in Bright Blue PVC. This figure will also include a special mock card back. FAKE BARBARIAN: Evil Doppelganger of The Good Guy! Fake Barbarian is yet another in the tradition of our previous 80s toy homages with special paint details. Fake Barbarian is the evil pretender of our most popular Eternal Barbarian. The W.O.M.O.M.F.G. Gohlem is a collaboration with our awesome friends, October Toys. Paying much respect to their popular fan participation and crowd funded OMFG mini-figure line. The W.O.M.O.M.F.G. 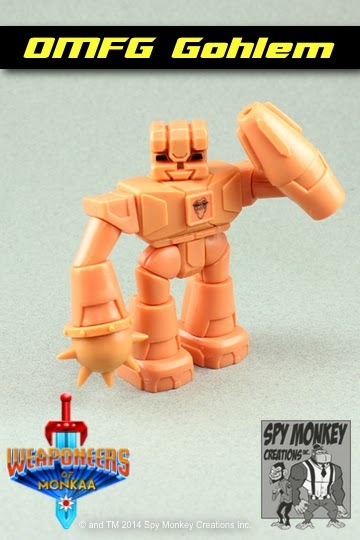 Gohlem is molded in the same flesh toned plastic as those Outlandish Mini Figure Guys. It includes all alternate Weaponeers of Monkaa heads, weapons, and matching Close Combat Armory set. 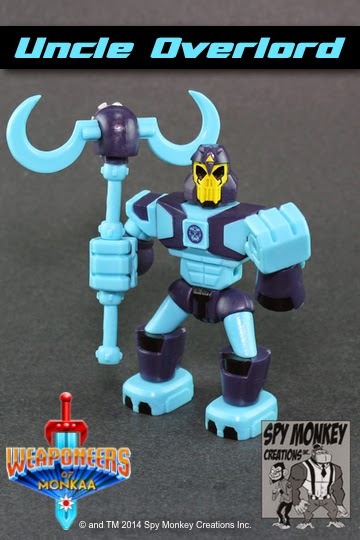 There is even a special OMFG faction symbol just for this figure. 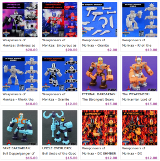 We will also have an assortment of Original Armory sets, Close Combat Armory sets, and limited numbers of previously released figures along with a few Gohlem from an upcoming color way.